A native of Plaquemine, Louisiana, is the youngest of ten children born to the late Isabella Simon-Georgetown and the late Aaron Georgetown Sr. Ricky holds a Bachelor of Arts in Psychology and a Master's of Arts in Clinical Sociology from Texas Southern University, in Houston, Texas, where he served as drum-major of the Internationally Famous “Ocean of Soul” Marching Band. He is also a graduate of McCormick Theological Seminary (Chicago, Illinois), with the Masters of Divinity Degree. While at McCormick Seminary, Ricky was the moderator for the Pan-African Student Association and the winner of the Ellen and James Taylor Preaching Award (which is the highest preaching award given to a Seminarian). Additionally, he is a member of Phi Beta Sigma Fraternity Incorporated, where he recently served as Vice President of the Alpha Beta Sigma Chapter and as the Regional Director of Collegiate Affairs for the Gulf Coast Region. He also holds membership in Kappa Kappa Psi National Honorary Band Fraternity. Prior to moving to Mississippi to serve the Evergreen UMC, he served as the Pastor of several churches in the Northern Illinois and Texas Annual Conferences. Ricky was ordained an Elder in The Texas Annual Conference of the United Methodist Church and was elected to serve on The Board of Higher Education and Campus Ministry Committee for two Quadrinums. 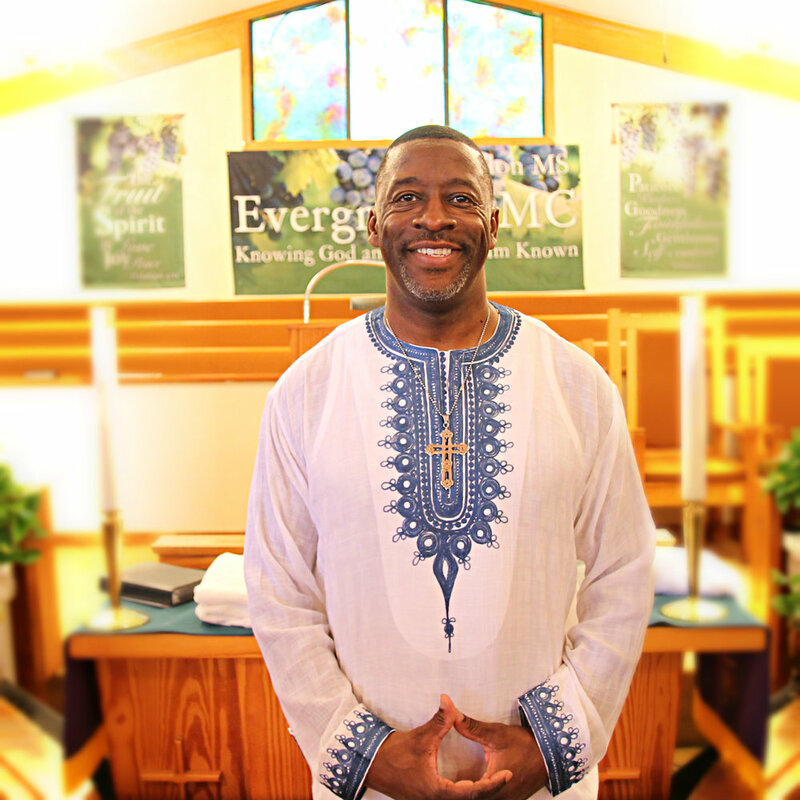 He is also an inaugural member of the Advancing Pastoral Leadership Program, a leadership development program for young, gifted clergy, in the United Methodist Church. Ricky is currently an Elder in Full Connection in the Mississippi Annual Conference. Ricky is also known to be a trailblazer, as he was the first African American pastor to lead Brazoria First United Methodist Church, which at 179 years old, is the second oldest United Methodist Congregation in the state of Texas. Ricky is the proud father of one daughter, Lorielle Simone Georgetown; and is a man who is committed to God, the church, his family, and the community.